What handmade means? It means fantasy, love, uniquness…it means a dream that someone had and created it with love and care in order for someone lucky like me to enjoy it! This is the way that I felt (actually I remind myself why I adore handmade) when I opened the boxes and I saw flowers! 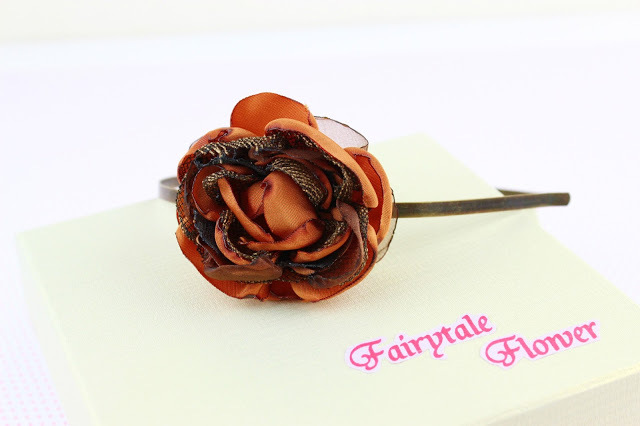 Roses in orange and pink and dusty pink…so amazing, all of them from Fairytale Flower! This is not the first time I got something for me or my little girl , created from the magic hands of Gia from Fairytale Flower, but every time I just spend at least 5 min admiring my new accesorize. So far I have a belt and earrings and an amazing bracelet, while my princess who adores headbands, has already at least 5 of them! Every time I am just thrilled for my new handmade gift to myself! 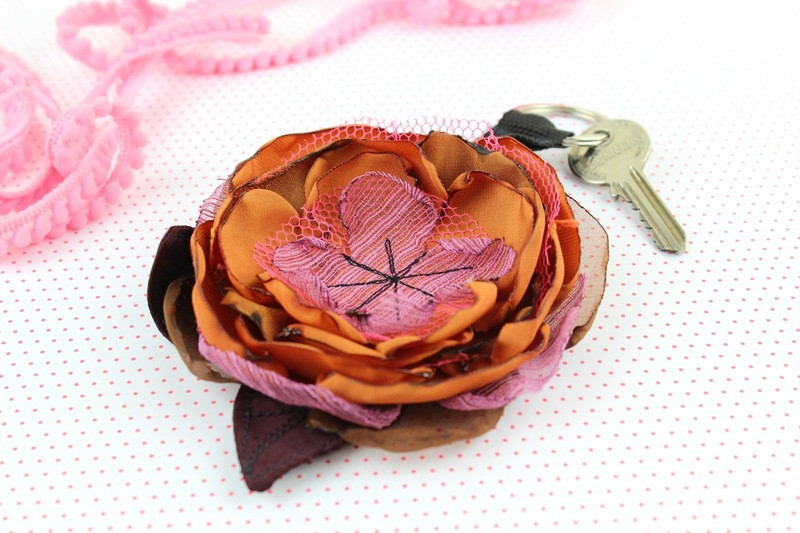 This time an amazing keyholder for me in my favorite tangerine tango orange and dusty pink! 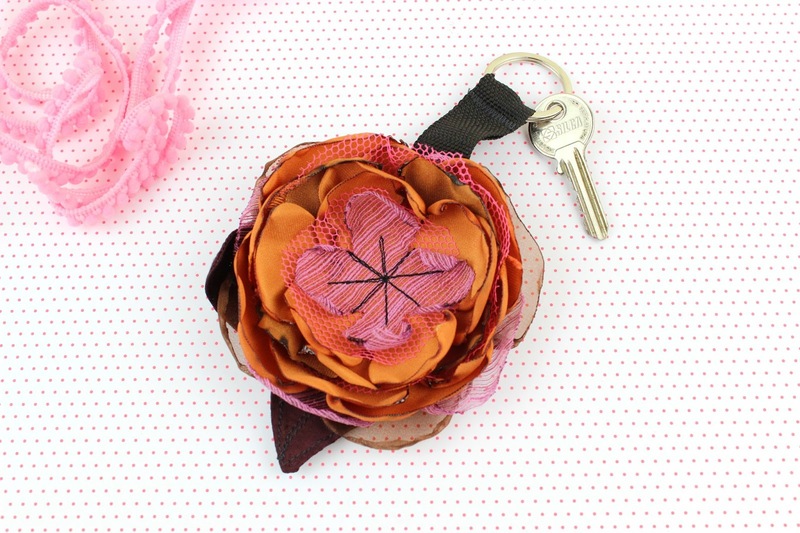 To be honest, I do not use it as a keyholder, even thought this was the idea, but as an accessorize to my handbag! A flower for my bag and I love it! 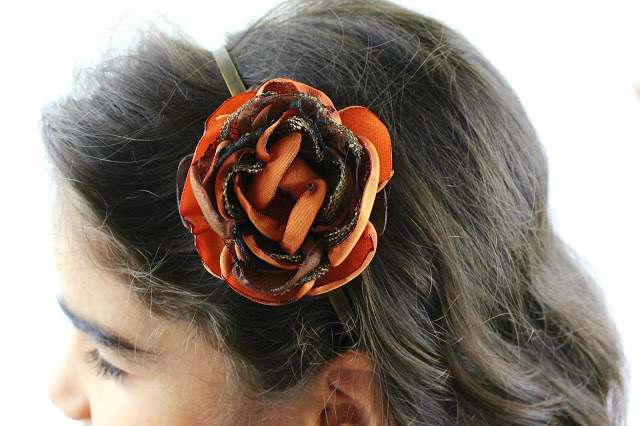 Gia created a headband also for my princess in the same colors and schema and the flower is simply gorgeous! My princess wears it all the time and she always is proud for it! Just spend a few minutes to find your favorite flower in your favorite color! You will be lost in a collection full of Spring! And if you wish to learn more about Gia, just check her interview in my blog! Τι ωραία που σου άρεσε! Ευχαριστω! Τόσο απλά και τόσο όμορφα!!! Τα λατρευω! οτι φτιαχνει η Τζια με τα χερακια της ειναι αξιοθαυμαστα. και ειμαι και τυχερη που εχω καρφιτσουλα της. αρα τα ξερεις απο πρώτο χερι! Και εγώ αξεσουάρ για την τσάντα θα το έκανα! Μεγειά σου!